Do you promise to love me forever? Not just until the end of this week. Or until I stop telling you embarrassing things about my life. F-O-R-E-V-E-R. Till the end of time. Or at least until the end of General Hospital. THE ENTIRE SHOW. Not just one episode. I feel like I want to take our relationship to the next level. If you know what I mean. Right now it’s been me writing, and writing, and writing. Telling silly stories. Grossing you out with bodily excrement. And you’ve been great, leaving comments, showing you care. Sometimes even trying out my recipes. But now, it’s time I show you how much you mean to me. Time to put it all on the line. And if you don’t love me for it, then at least I’ll now I tried. But who am I kidding, after this public show of affection, I’ll have you wrapped around my big fat potato masher. So this is how its going down. 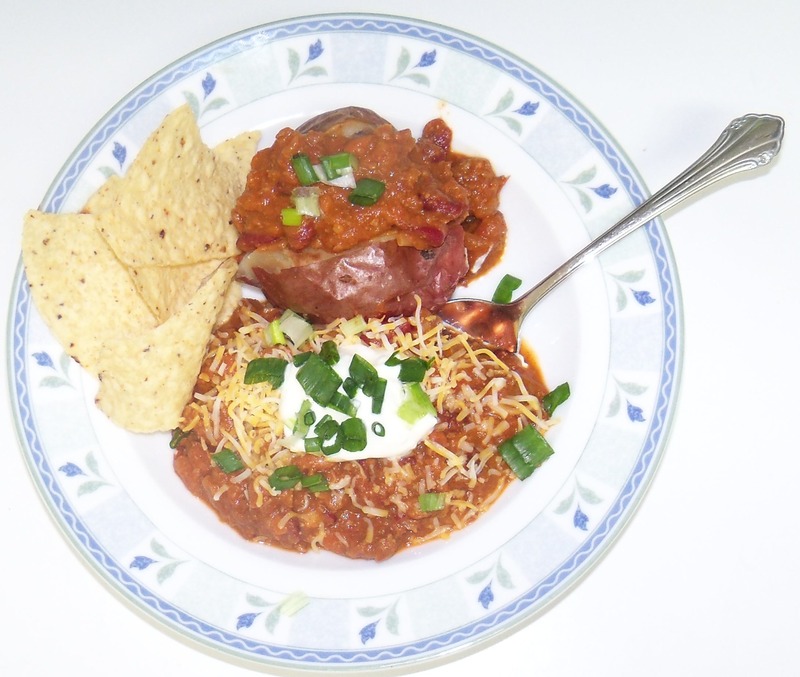 I’m going to roll up my sleeves, and put on my apron, and share with you quite possibly the best, easiest, healthiest, no fuss, most inexpensive, YUMMIEST Chili you have ever eaten. And then you will be indebted to me for life. And will promise to never love another blogger as much as you love me. And then a priest appears with a candelabra and a unity candle. You make this recipe. We’re joined for life. 1. In large heavy pot, heat oil. Add onions and cook over medium-high heat until translucent, about 5 minutes. If onions make you cry, cut them near an open flame, and say bye-bye to tears. 2. Add turkey, garlic and chili powder, cocoa and salt, and cook until meat is browned. 3. While the meat is browning, rinse your beans. 4. 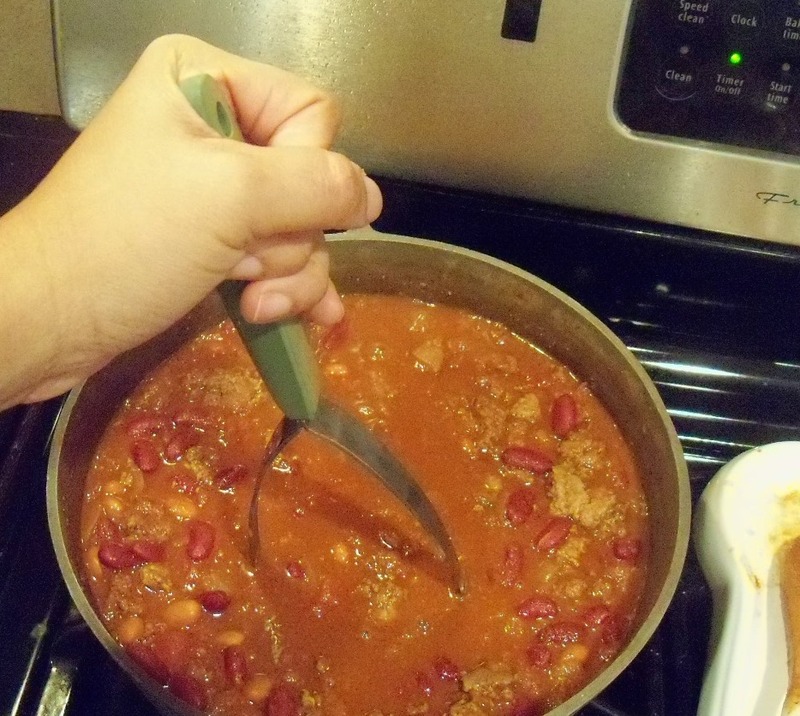 Once the meat is browned, add rinsed beans, crushed tomatoes, broth, and vinegar. Be sure to scrape the bottom of the pot to remove any bits that have started to stick. 5. Reduce the heat to simmer, and cook for 20-30 minutes, until the liquid has reduced. Using a potato masher, or the back of a wooden spoon, mash 2/3 of the beans in the pot to create a thicker, creamier, soup. 6. Adjust flavor with spices of your choice. 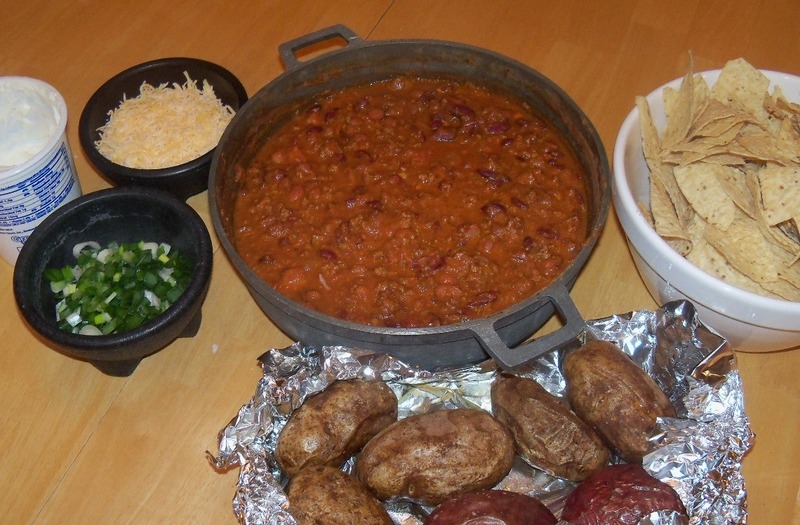 Serve hot with tortilla chips, sour cream, green onions, grated cheese, potatoes, or nothing at all. It’s perfect all by it’s lonesome. Yum!!! !